These longer days give me lots of time to shoot in the evenings. Friday I was out on a country road and looked to the west to see the sky looking like it was on fire. 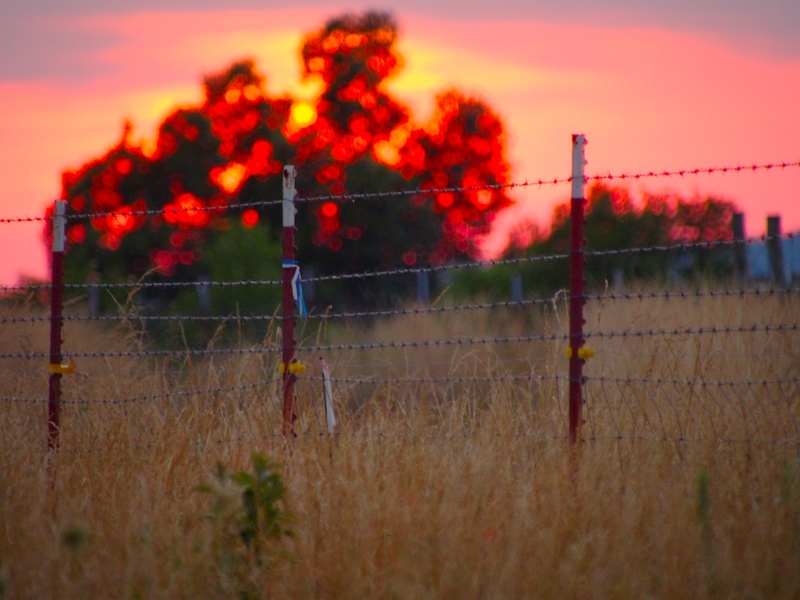 I focused on the field grass just in front of the fence to capture this image. It was about 8:00 so I knew I had a short window to drive to a spot with a good vantage point – a downside of living in the Ozarks is that the hills and hollows can block sunrises and sets from view. I went to an overlook built by the local Rotary – I looks out across all of Eureka Springs, Arkansas. I got there as the sky really started to explode with color. 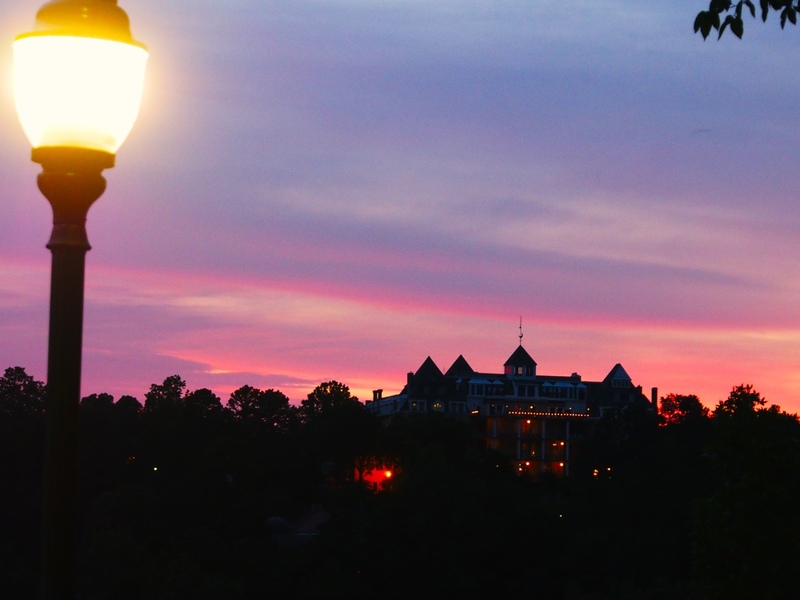 Long Zoom – The 1886 Crescent Hotel at sunset. Kit Zoom – with ambient light from the street lamp. My portrait prime – last useable shot of the night. As I headed out the color lingered, too dark to capture – but lighting my way home. I live in paradise. 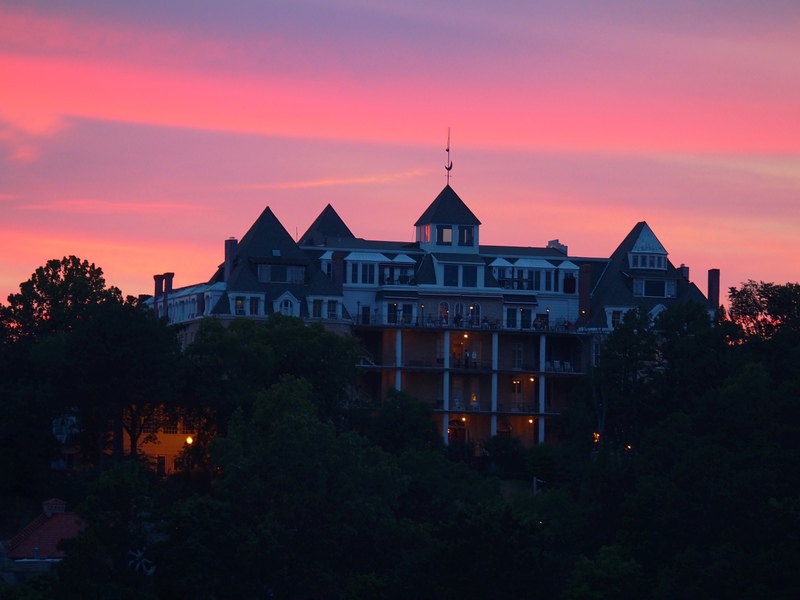 This entry was posted in Ozarks, Photography, Travel and tagged Arkansas, Crescent Hotel, Eureka Springs, Olympus E-M5, Ozark, photography, Rotary, sky, sunset, travel by artsifrtsy. Bookmark the permalink. I really love your blog, and the photographs. These are some of my favorites! Also want to thank you so much for checking out my blog and following. You were my 200th follower! Really means a lot and hope you continue to enjoy! Thanks, I just hit my 200th yesterday too. I appreciate your follow as well. I look forward to seeing more of your photography too! Thanks Kathleen, I have shot the crescent from that angle many times during the day, I had no idea they lit it up like that. I live on a hilltop that is heavily wooded near the Missouri line. I can catch a bit of a sunrise – no sunsets. beautiful! 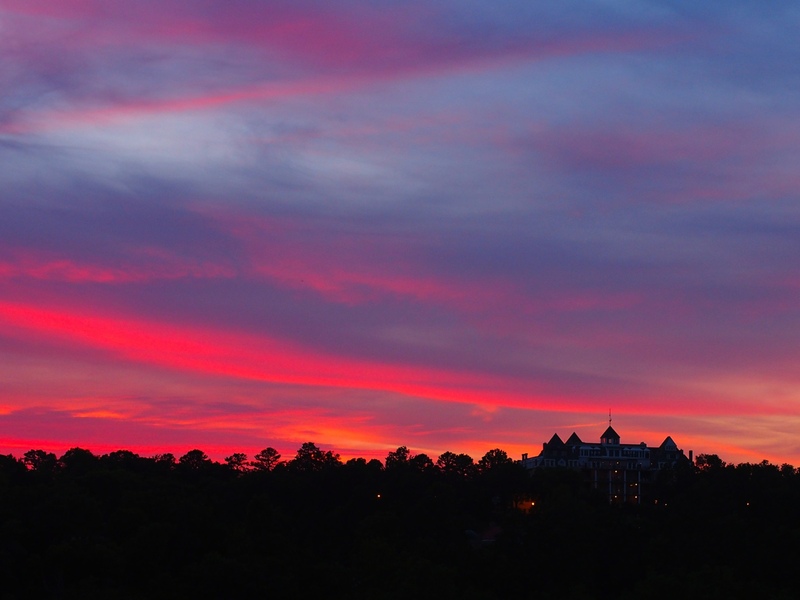 I love pink skies! Thanks! Me too – they seem to happen more in early summer.